As soon as the alert is given, children spread throughout Tu-Endie-Wei State Park trying to get as many Easter eggs in their baskets as they can. POINT PLEASANT — One of the city’s favorite Easter traditions sponsored by the Point Pleasant Presbyterian Church will be making its return this Easter season. The annual Easter Egg Hunt held in Point Pleasant will kick off this year at 1 p.m. this Saturday, April 13 at Tu-Endie-Wei State Park, following the Easter Parade on Main Street in Point Pleasant which is set for 11 a.m. The Easter Bunny will also be hopping about the park as the children hunt their eggs. There will be grand prize Easter baskets in every age group, as well as other prizes for those who find the specially marked eggs. However, every egg found will have a treat inside. The entire event is free and church volunteers have been spending weeks stuffing over 3,000 plastic eggs with candy for the big hunt. Church member Pam Heib said the members of the church personally fill the eggs with candy they purchase themselves. When arriving at the park, areas will be marked for specific age groups to hunt. Those areas are: children ages one to three years old (this is the only area where adults are permitted to assist children with hunting eggs); four-five years old; six to seven years old; eight to nine years old; 10-12 years old. Egg hunters need to arrive early and be at their stations, ready to go promptly at 1 p.m. The whole hunt is over in about 15 minutes, but though it’s fast, it is fun. Yearly, hundreds of children come out to participate in this event. This will mark the 13th year of the egg hunt and the fifth year of the egg hunt being held at Tu-Endie-Wei State Park. Heib shared the members of the church began the egg hunt when they noticed the children of the community did not have an organized egg hunt to attend. Hosting a community egg hunt was a need for the children and is a way to bring people of the community together. 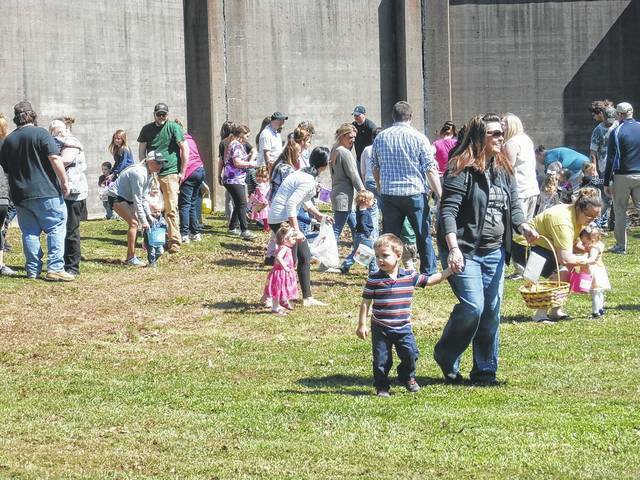 The egg hunt is another outreach project of the Point Pleasant Presbyterian Church which also hosts a Thanksgiving Community Dinner and Back-to-School Carnival each year. All of these events are free to the public. For anymore information on this event, individuals may call Heib at 304-812-6561, Donna Lambert at 304-675-4883, or the church at 304-675-2170.